Recently Canadian GIS and Geomatics was featured in GoGeomatics Magazine as top Canadian geospatial Twitter Account. There are many great reasons why people Twitter use, like sending out news briefs, advertising job postings, sharing information and much more. 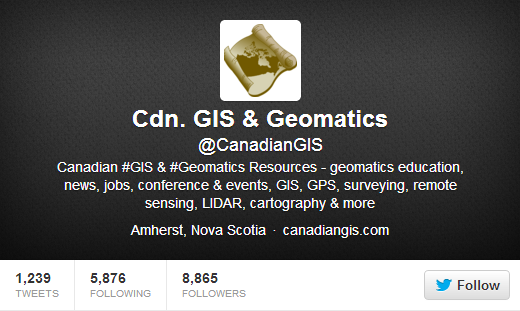 We have been using Twitter since 2010 and actively post and share GIS and geomatics related content. We post geomatics related jobs, information about opendata, vintage maps and many more geospatial related topics. Check out our account, we have over 4 thousand tweets and over 10 thousand followers. If you are using Twitter then we encourage you to follow us. [Update: January 2015 – Our account has grown, we now have over 8 thousand tweets and over 17 thousand followers. Last month on Twitter, Gretchen Peterson, a renowned cartographer and author from Colorado, thought that we should all celebrate a fun GIS Appreciation Day on social media. 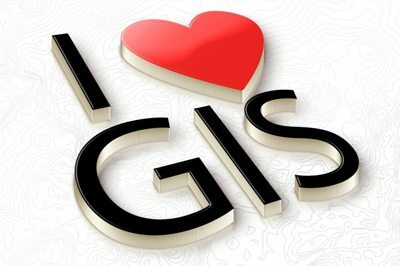 She thought that unlike the traditional GIS day that takes place every year, during Geography Week and used to help promote GIS and geographic education, GIS Appreciation Day would be celebrated more via social media as a fun way to promote GIS, cartography and maps. After learning that several social media influencers from the geospatial community on Twitter also thought it was a great idea, she picked March 2nd as the day and then encouraged everyone to spread the word. 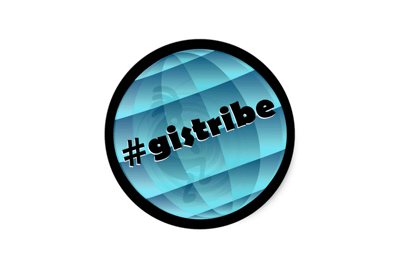 We are very active on social media and plan to participate, and hope that you will join us on March 2nd by using the hashtag #GISAppreciationDay with all your social media postings on Twitter, FaceBook, Instagram and Google+. Also do not forget to include lots of great maps, geospatial info, funny GIS memes, videos and various GIS related images. 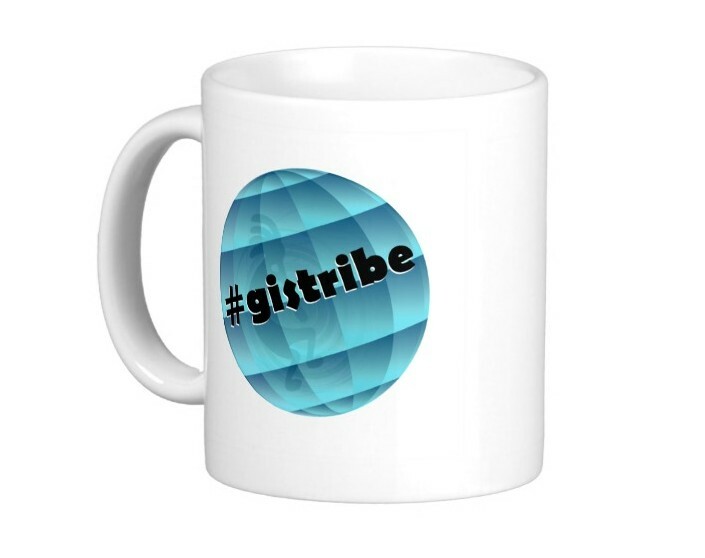 So get involved and have some fun sharing GIS related maps and images March 2nd. We need a #GISAppreciationDay. Distinct from that GIS Day thing. 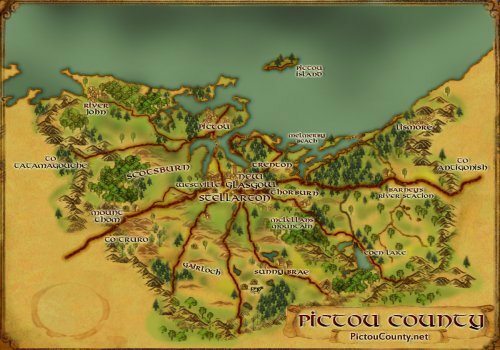 This one would be cute and/or surprising map posts. Earlier people seemed enthused about starting #GISAppreciationDay, like #SquirrelAppreciationDay ! Shall we do it on the 1st Wed. in March? The “GoGeomatics” LinkedIn group is a great resource for job seekers, employers and recruiters interested in learning more about trends in Geomatics in Canada. I started this group back in 2009 when I was helping establish GoGeomatics. 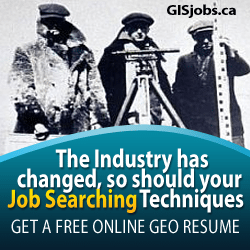 In this group you will find jobs that have been posted on their job board as well as articles written for the GoGeomatics Magazine that have been submitted by various people in the Canadian geomatics industry. The group is free to join for anyone with an interest in Geomatics or Canadian Geospatial topics. The Canadian Geomatics Twitter Community is very diverse and growing stronger everyday allowing Canada to be well represented in the social media world. 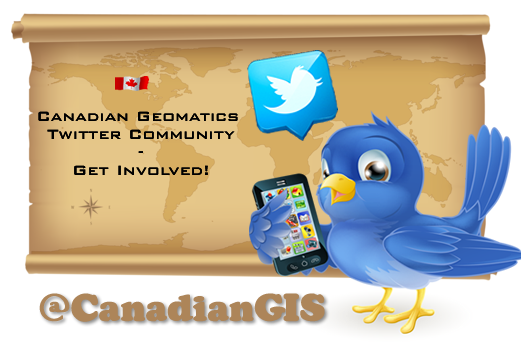 GoGeomatics, an active geomatics social media advocate is hoping that if you are using Twitter that you will follow many of the geomatics twitter influencers and help build a stronger Canadian Geomatics social media community. They have created a featured list of top twitter accounts related to the GoGeomatics organized into four groups: Professionals; Individuals, Companies, Organizations and Educators. 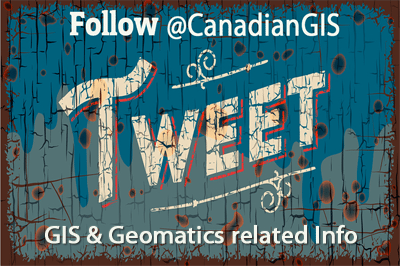 Their list of geo tweeters are geomatics twitter influencers that GoGeomatics have been interacting with regularly or ones that have been actively promoting geomatics in Canada and have all been followed by the @CanadianGIS account. Recently our Geomatics LinkedIn group was selected as the top Canadian Geomatics LinkedIn Group by the GoGeomatics team. To come up with their rankings they had a team of people examine various available Geomatics based groups that emphasize Canadain related topics. GoGeomatics considered the size of the group (the number of members), the spatial coverage of the group, the groups content and the group’s activity. Thankfully, LinkedIn’s new ranking algorithm takes both of those factors into consideration when generating results for search queries, as well as the number of contacts in networks that are already members of that group. LinkedIn do that to ensure that their search results have a much higher rate of relevancy. If you are not already a member of our Canadian Geomatics LinkedIn Group, then Iwe invite you to join us, we currently have over gained over 975 members in the past 6 months with Geomatics people from coast to coast all helping to provide and sharing advice or answers to Canadian Geomatics issues. The more people we have join from all across the country, the stronger the group will become, so we hope to see you there and tell your co-workers and your friends. GoGeomatics is a Canadian company based in Ottawa, Ontario run by a Geomatics Professional with a team of interns that work together to provide industry advice and services on Geomatics careers in Canada. They currently run a career advice blog, a user forum, a LinkedIn user group and a free job board. 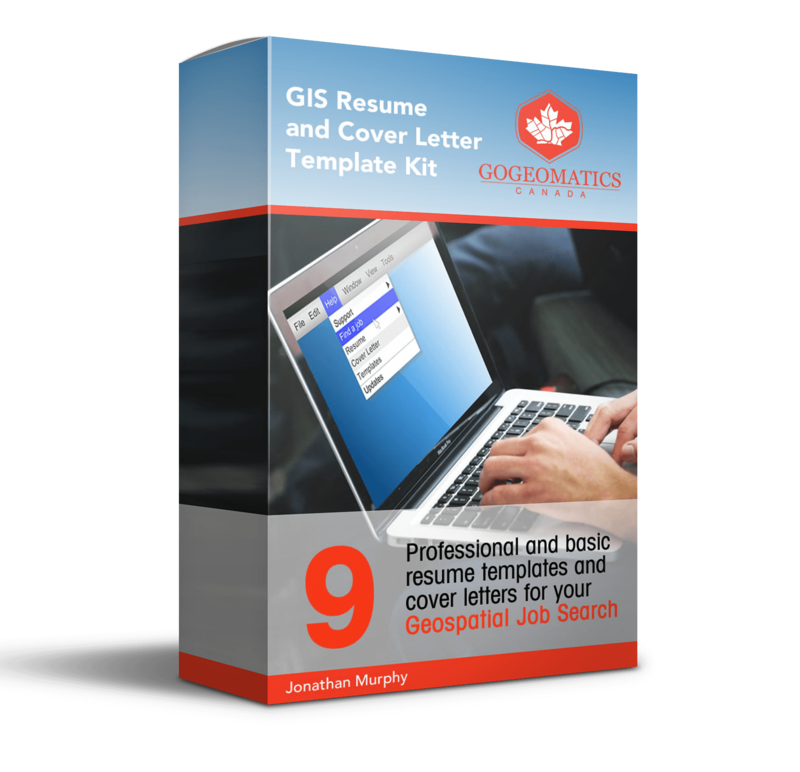 GoGeomatics is in the process of launching their third generation of Geomatics job boards with many new features to help students get a leg up in their career search. The new site will be better integrated with the blog, twitter and LinkedIn. 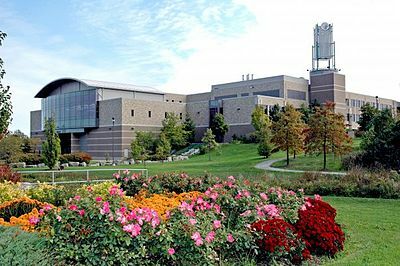 Rumor has it that they will soon offer video resumes, cross platform login ability to integrate with twitter, facebook and LinkedIn and options to pay to have your resume appear higher in search results. When the new site is launched we will review it and share our findings here on our blog.